Day 1: Fly to Cairns. Day 2 Cairns: On arrival you will be transferred to your hotel and this evening will join your Travel Director for dinner. Day 3 Great Barrier Reef: Board a high speed catamaran and cruise out to the Great Barrier Reef. 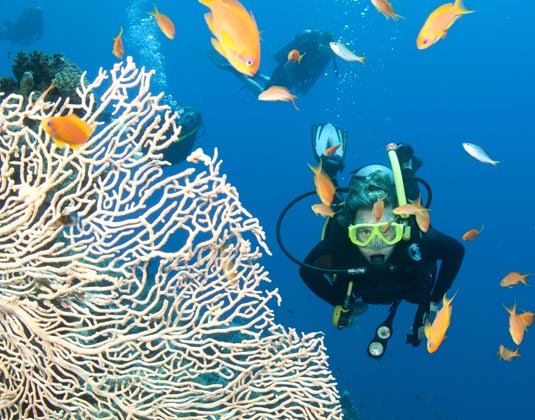 You can snorkel and view this natural living wonder up close (equipment provided) or stay dry and explore the stunning reef from the comfort of a semi-submersible craft, just one metre underwater. 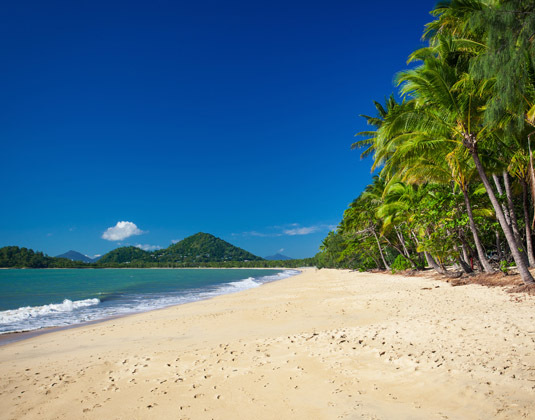 Enjoy a tropical buffet lunch before you return to Cairns. Day 4 Cairns: Today is yours to relax or explore. Maybe take an optional experience to the Tjapukai Aboriginal Cultural Park to discover the secrets of this ancient culture, or visit Hartley's Crocodile Adventures for an opportunity to encounter an array of wildlife including koalas, tropical birds, reptiles and insects (both additional expense). Day 5 Cairns/Uluru: Fly from Cairns to Ayers Rock. Join an Aboriginal artist for a fun introduction to Western Desert Art. 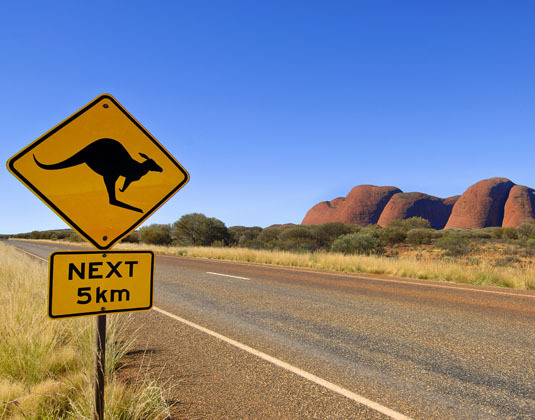 Later, travel through the desert plains to Kata Tjuta (the Olgas). Take a walk at Walpa Gorge and experience a Kata Tjuta sunset with sparkling wine. 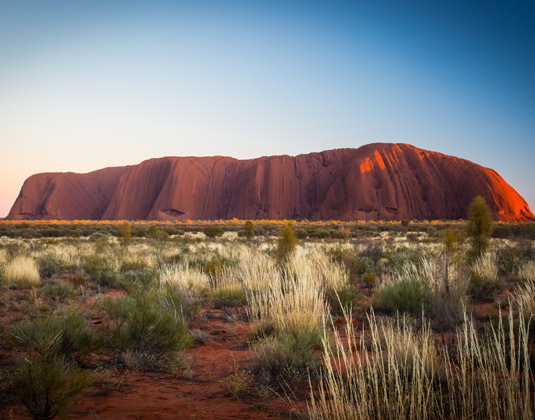 Day 6 Uluru: View the magical Uluru sunrise and afterwards, gain a insight into the traditional owners of the land, the Anangu, as you tour the caves at the base of Uluru. This evening relax as you watch an Uluru sunset. Afterwards, enjoy an award-winning Uluru BBQ dinner and then gaze at the tremendous southern night sky as a local specialist gives you an insight into the constellations. Day 7 Uluru/Sydney: Join a specialist Aboriginal artist for an introduction to western desert art. 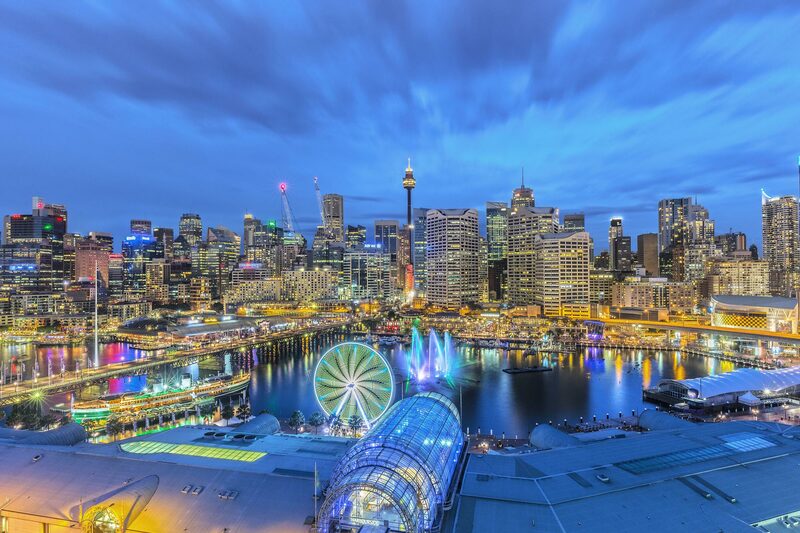 This afternoon fly to Sydney and enjoy an evening at leisure to explore. 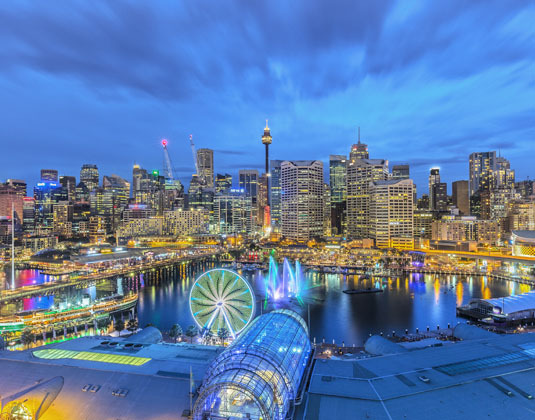 Day 8 Sydney: A day of sightseeing begins with a guided tour of the iconic Sydney Opera House for a sneak peak behind the scenes before discovering Sydney's Eastern Suburbs and putting your feet in the sand on famous Bondi Beach. Later, take to the water for a Captain Cook Lunch Cruise during which you'll pass magnificent waterfront homes, beaches and parklands and all the main harbour attractions. Then spend the rest of the day exploring at leisure. Day 9 Sydney: The day is yours to explore this wonderful city. Why not take an optional tour to the spectacular Blue Mountains; see the famous Three Sisters rock formation and visit Featherdale Wildlife Park; or join a thrilling 'BridgeClimb' tour (all additional expense). This evening, join your fellow travellers for dinner for an intimate dining experience featuring fresh local produce with traditional bush flavours. It will be an evening to remember. Day 10 Sydney/Auckland: Say goodbye to Australia and fly to New Zealand. This evening enjoy a meal at 'Eight' at The Langham. Day 11 Auckland/Rotorua: Travel to the Waitomo Caves to see the incredible Glowworm Grotto on a boat tour. This evening experience the heart-pounding wero (challenge) from a Maori warrior during a Powhiri, a ceremonial Maori welcome. 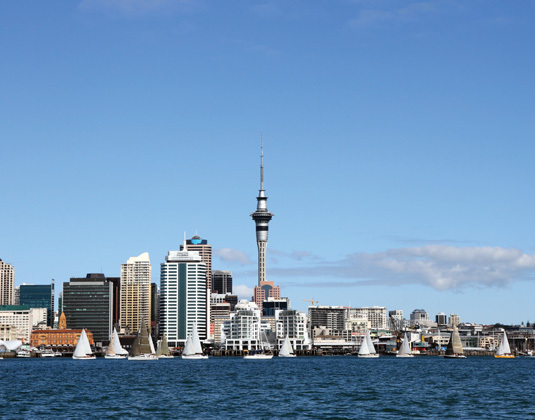 Journey into the village for an insight into life in New Zealand prior to the arrival of European settlers, then feast on succulent meats and vegetables cooked in a hangi, the traditional Maori method of cooking in the earth. 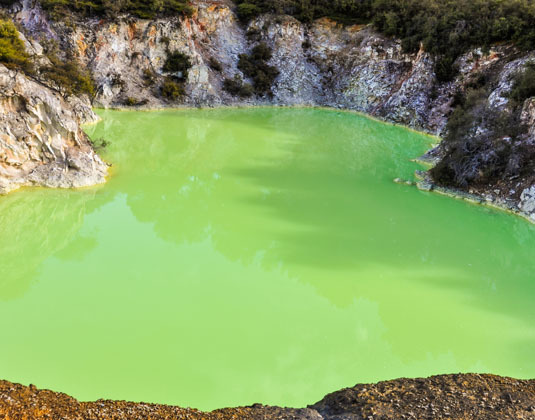 Day 12 Rotorua: A Maori specialist will accompany you around the Whakarewarewa Living Thermal Village where you'll see New Zealand's biggest geyser, bubbling mud pools and thermal springs. Your next stop is Nature Park for a tour where you may even spot a kiwi! Then visit the Agrodome Sheep Show, the multi-award-winning stage show, for a taste of farm life. Day 13 Rotorua/Queenstown: This morning you'll fly to Queenstown. On arrival explore the historic gold mining village of Arrowtown before an orientation of Queenstown and surrounds. See Lake Wakatipu, the Remarkables Mountain Range and the home of the Bungee Jump at Kawarau Bridge. 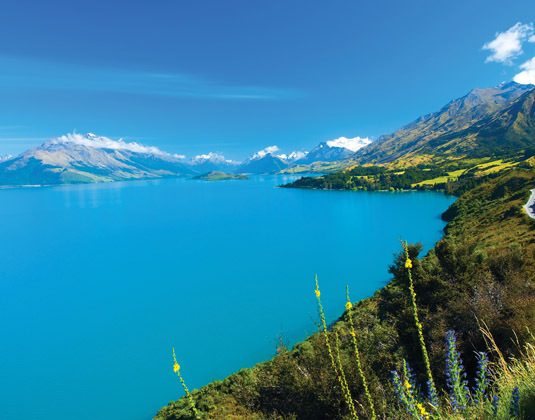 Day 14 Queenstown: A free day to do as you choose in New Zealand's adventure capital. Why not take an optional experience through the rainforest of World Heritage Fiordland National Park for an unforgettable cruise on Milford Sound (additional expense). Day 15 Queenstown: Relax or consider taking another optional tour or experience (additional expense). You could ride the Shotover Jet boat, join a wine tour, play a round of golf, take a 4WD minibus excursion through Skippers Canyon, relax with a spa treatment at Millbrook Resort or explore Queenstown on your own. This evening enjoy a farewell dinner at The Boatshed, with its spectacular views of Lake Wakatipu and the Remarkables mountain range, it is the perfect venue for your exclusive dinner with wine. 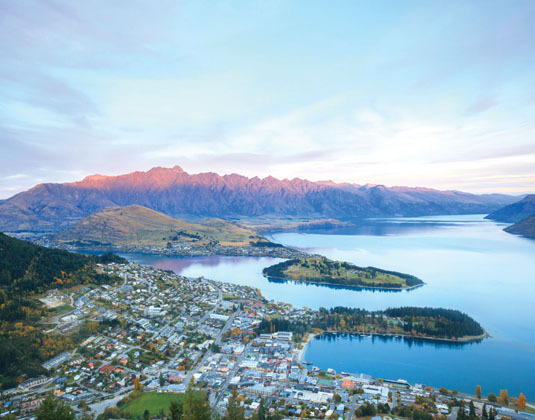 Day 16 Queenstown: Your tour concludes with a transfer to the airport for your onward journey. 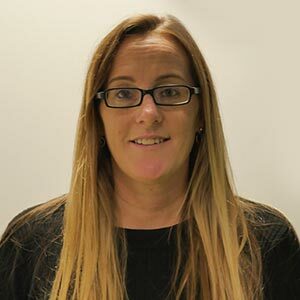 Accommodation: Pacific Hotel, Cairns; Desert Gardens, Ayers Rock Resort; Hyatt Regency Darling Harbour, Sydney; Stamford Plaza, Auckland; Millennium Hotel, Rotorua; Millennium Hotel, Queenstown. Meals: Breakfast. Lunch is also included on days 3 and 8. Dinner is also included on days 2, 6, 9, 10, 11 and 15..
Tour price: The price shown for this AAT Kings First Choice tour is based on the best value travel dates in low season and includes international flights, domestic flights where indicated, accommodation as outlined, travel by luxury coach, sightseeing as outlined and services of a tour guide. AAT Kings First Choice tours include premium accommodation in central locations, a variety of meals plus unique dining experiences and sightseeing..